Here are some of our most frequently asked questions. Do contact us with any queries about the services we offer; you can be assured of our prompt reply. Why not call us today to arrange for a free inspection and quotation on 01903 713053 or 07513 345231. We can also be contacted by the form on our ‘Contact’ page or by email: enquiries@coastalwallties.co.uk. The cost of repointing depends on the type of masonry being pointed: sandstone or brick, for example and the style it’s finished in: flush, bucket handle, recessed, weather struck, birds beak or tuck pointing. 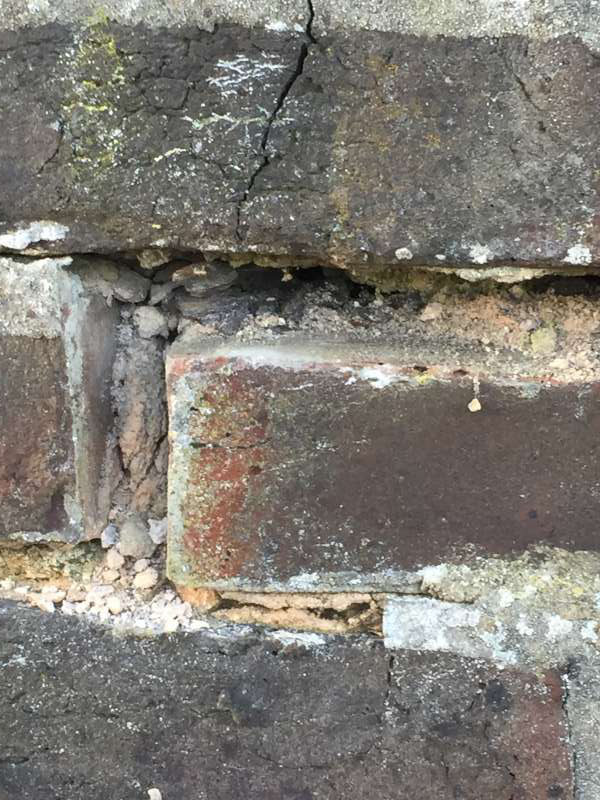 A further consideration is the type of repointing required: standard mortar, lime pointing mortar and coloured mortar are just some of the choices we offer. The price is usually calculated per square metre and ranges from £18-£45. No. We only use traditional methods so that we can ensure the joints are completely filled. We have many years’ experience of working in this way and achieve excellent results. It’s difficult to assess exactly how long pointing will last as it depends on many variable factors including the type of building, its position and exposure to wind and rain, as well as the type of pointing. We can assure our customers that we are renowned repointing specialists with high standards of work backed by industry accreditations. We issue a certificate of completion for the removal of cavity wall insulation and are happy for our customers to see the removal results for themselves, before the making good stage of the process begins. Unfortunately some mess is inevitable, but we take every care to minimise it. Our dust extraction hoovers are a big help and we undertake a comprehensive clean-up service at the end of each day’s work. Cavity walls have been with us for quite some time. They were introduced in the 19th century and became more widely used in the 1920s. Their main purpose is to stop rain water penetrating through the walls onto the internal wall. Creating a gap between the walls allows any external rain water that soaks into the bricks to run down the back of the bricks and into the ground. Cavity wall ties are used to hold these two walls together, preventing them from moving away from each other. 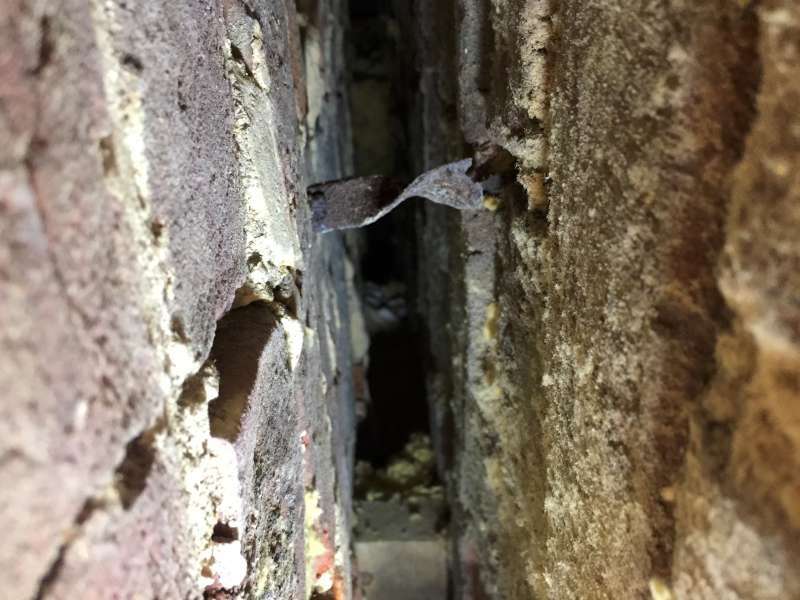 Cavity wall insulation is rapidly becoming a huge problem because the material used cannot withstand long periods of heavy rain penetrating the brickwork on exposed walls. Another reason is because the material was incorrectly installed under high pressure, causing the insulating material to be extremely dense. This creates a solid area which water can pass through. The insulation companies claim that the materials used are water resistant, however we know from removing the cavity wall insulation from many properties across the south coast that unfortunately cavity wall insulation is not water resistant. Cavity wall tie replacement is relatively cheap, depending on the size of your property. In some cases, not all elevations will need work carried out. Contact us for a free inspection and quotation; we are cavity wall tie specialists. We can install any remedial wall tie that is on the market today. It’s crucial to identify the correct wall tie for the property’s masonry material. All our remedial wall ties are made from marine grade stainless steel. Yes, we are insured to £5,000,000. Our wall tie replacement comes with a 25-year transferable company guarantee; every customer also has an option of purchasing an insurance backed guarantee. We are proud to hold a number of widely recognised professional accreditations. We are a member of The Guild of Master Craftsmen, the UK’s most established trade association, representing skilled tradesmen who strive for excellence in workmanship. The Guild of Master Craftsmen members excel in their professional standards, as well as the service delivery their customers receive. Members have been awarded the Guild’s highly-coveted Certificate of Quality and Service. SecoTHERM® are producers of masonry protection cream, designed to protect external walls against penetrating damp. We have undertaken their approved full training programme and we are delighted to be added to their list of registered contractors. Twistfix are construction industry suppliers of specialised building products and we are proud to be on their list of registered contractors. We have undergone a strict assessment of our business and the quality of our work by trading standards professionals to achieve membership ofthis widely recognised body. All testimonials are checked for authenticity and we have to abide by the Which? Trusted Traders code of conduct at all times. We have been vetted, recommended and are continually monitored on the standard of our services. Our membership of reputable and well-regarded organisations offers our customers every confidence in the services we offer. The ongoing assessment and monitoring of our standards of workmanship, customer care and after care means that every customer can place their trust in us to deliver at every level.